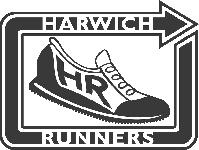 Another year... another harwich triathlon to train for. Please post here when you are swimming so entrants to the event can see / join you. I have arranged for jet skis to be banned for two practice days on the course we will use for the event. Sunday June 19th between 13.00 - 14.00 - the day after the sprint triathlon. Saturday 2nd July between 12.00 and 13.00 followed by a full course familiarisation (swim followed by bike and run. Not a race). These two are not official events and, as usual for these sessions, there is no safety boat provided. For the actual event on the 16th July the jet ski ban will be for the whole high tide. We will bringing along 10 new suits from XTERRA (official wetsuit sponsor of the Harwich Triathlon) for you to try out at the practice sessions. The very generous folk at xterra have also given us some large discounts so you can not only be confident that the suit fits & works well, but that you are getting the very best deal! Provisional sea-swim on Thursday 5th May at 13:00 (HW is 14:04). Meet by the high lighthouse. My intention is to swim from Dovercourt Park beach to the lighthouse (or reverse if weather not favourable). Distance around 1,000m. My contact email address is warnerde@hotmail.co.uk. No need to email me unless you have a question, just turn up at the pre-arranged time. For the my first swim of the season I intend to keep away from the Blue Flag area where the jet-skis have been allowed to have access. However, my intention in future weeks is to give the required 7 days notice for times I wish to swim so that jet-skis will be prohibited from operating during our swims. Reports from those already brave enough to take to the high-seas are that the water is cold, but full winter clobber is not needed. Just a reminder that there is a sea swim practice session arranged for Sunday. The jetski ban is from 13.00 to 14.00, plenty of time to try the full course. Suggest we meet near the transition area at 12.30. I swam today (Wednesday) and it was fine. The forecast for Sunday is similar to today, so I am not anticipating having to call it off. The signs are up advising jet skis about the ban during our session. The ban is advertised as 12.30 to 14.30, so we've got plenty of time. The tide is so gentle it will not trouble anyone if we are still in the water after high tide. Sea swim Friday 24th @ 17:30. Meet at the High lighthouse near the tennis courts. If no jet-skis will swim the Olympic course, otherwise probably swim from the Stone Pier or Cliff Park. I have requested that jet-skis activity is suspended next week during the following times. Weather permitting I will be there to swim. All welcome to join me. I will post time and place to meet nearer the time. Sea swim Sunday 26th @ 19:30. I will be coming straight from work so if I am delayed Rachael (Glendinning) will coordinate the swim. Meet at the high lighthouse to check conditions and jet-ski activity. Swim today, Friday. Meet at 12:00 by high lighthouse. By the time we assemble and walk to the start the jet-ski ban from 12:30 will be in force. A good turn-out today in tough conditions. Some found it difficult, others made great improvements. I am working for the next 4 days, but will arrange a block of training for the end of the week. Thursday 7th: swim between 17:00 and 18:00 (Rachael and Jim want to practice their relay change-overs so may be an opportunity for relay teams to join them. (I will arrange a jet-ski ban). Friday 8th: swim between 06:30 and 07:30 (early start, but the Bentley 5 race is on in the evening). High tide is at 05:40. Generally calm conditions early in the morning. Sunday 10th: swim between 08:00 and 09:00 ( I will arrange a jet-ski ban once again). A nice block of sea swim training (I need to improve to catch Rachael) with some mixed times. Meet at the launch ramp. Please be punctual and ready to swim by the advertised start times. I don't tend to wait for stragglers! For anyone wishing to arrange triathlon practice at times when I am not available and want to be free from the risk of being killed or maimed by a jet-ski, you need to follow the following procedure. If you do request a jet-ski ban ensure that you turn up to swim no matter what. If we don't swim when we request a ban, then there is a likelihood the system will not be available in the future. Only ask for times that we need. I hope you arranged a ban for the Friday 6.30 am swim!! !